To Scrivener or not to Scrivener?? I wanted to comment on my experiments with Scrivener and what I’m making of it. 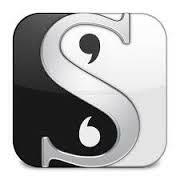 Back in September I downloaded a free trial of Scrivener to see what I thought of it. Since then I’ve been a bit of a chicken and I’ve barely looked at it. Although I had made some headway with the tutorial, I was finding it very complex and a lot to take in. My husband suggested I just forget the tutorial and simply play around with it to get a feel for what it’s like. I couldn’t even work out how to get past the tutorial; he had to show me lol. Anyway today I was having a proper go for the first time. And I have to say I’m unsure about it. My husband’s offered to buy it for me for Christmas if I’d like it. But like I say I’m in two minds about it. Yes it’s very clever and allows you to do all sorts of things to assist your writing, such as making it easier to plan by having easy access to all your ideas and thoughts on different aspects of your story. It also enables you to navigate much more easily between the different parts of your work, so that if you need to go back and amend things or refer to passages you’ve already written in a chapter way back, it doesn’t take forever. That’s the idea anyway. But I didn’t get that far today. I barely did anything – at least it felt that way even though I spent quite a long time playing around with it. I’m definitely going to keep plugging away at it to see if I could get used to it. The thing is though I found myself getting rid of things I didn’t mean to get rid of and then not being able to access them again. Scrivener just seems so vast in terms of what it allows you as the author to do. And so complicated! People have said to me that Word is easy by comparison and that’s so true. It’s like I really REALLY want to love Scrivener. I can see the potentially enormous benefits of it to my writing. But if I can’t get to grips with it, even the basic stuff then there’s going to be a problem. My friend and fellow author Jade Reyner uses it and has written about her problems with it here and here. She’s getting on all right with it now I think. I just hope that if I give it a bit longer before my free trial runs out, that I can maybe make some headway with it and perhaps just perhaps get used enough to using it that I can say ‘yep, Scrivener’s definitely for me’. What are your thoughts on Scrivener? Have you/do you use it and if so what do you make of it? Scrivener will not make you a better writer. It will not make you a more prolific writer. It will not necessarily improve the quality of your work. However, if you want or desire an alternate source for organizing, creating character profiles, outlining, reordering scenes, setting goals and such, it is a great resource. Naturally, there is a learning curve involved with gaining proficient usage. I can claim no such mastery myself; but I am certainly making headway. There are alternate tutorials made by users with helpful tips available on You Tube ect. I’ve heard a lot about Scrivener and your post caught my interest. I have not tried it yet, so it was good to hear your thoughts on it. One of the most important things he says is to use Scrivener as much and no more than you need to at one particular time. At first I used it as little more than a word processor, then I started putting my research on. Now I’m using colour tags, titles, drafts and so on in order to get better control of what I’m doing. So my understanding is growing slowly but surely and only when I need to know something new. I also find the help desks and forums really quick to answer and give advice if I can’t understand something. I’d never go back to using a word-processor now. I think so far I’m the same as you Kathi – unsure if I like it or not. And I don’t like the fact that it’s possible (according to a writer friend) to lose 4000 words using it. Thanks for the advice re using it. I hate trying out new software. Absolutely hate it… Until last year at this time, I was still using WordPerfect 5.1 for DOS (yes, pre-Windows), by any convoluted method I could get it to work on the constant forced computer upgrades I had to make (cat knocking one off a table, motherboard burning, etc). It takes time to learn to use it, and you may never become a power user, but… give it a try. And… check out the forums on the Literature and Latte site. The group there was very helpful in getting me started. Thanks for your comment Eden, that’s really helpful. It’s so interesting reading the comments on this post – everyone seems to have a different experience of Scrivener. Have to say I’m neglecting it a bit again. Note to self – must have a play with it again soon! It took me over a year to get the hang of scrivener. Luckily the one month free trial is based on days you actually turn the thing on. I watched the tutorial twice and although it looked great I couldn’t seem to import my WIP in and make it do what the tuturial seemed to be doing. The turning point for me was a writer friend (also an IT guy) who showed me how he used it. Quarter of an hour with him was easier than the tutorial – although I think the tutorial did give me a good background. I love it now. It’s a great tool which gives you pretty much everything at your fingertips – once you get the hang of it. Persevere! And find a friend to help if you get stuck (myself included!). Hi Raewyn, thanks for your comment that’s really helpful. It’s heartening that you say it took you over a year to get used to it. I may well take you up on the offer of some help with it. The trouble is I feel like I really need to have some face to face help, someone sitting down with me to do it as you had. We’ll see, maybe I’ll meet someone sometime who’d be able to help. I am late to this post, having only just got down this far in my emails, but I thought I’d weigh in anyway. Hi Emily. May I say it was so lovely to meet you last Wednesday. I had a fabulous evening with you and Kate and wish you a happy and safe time for the rest of your holiday. Well I jumped right into it. I used it to complete my thesis, which is a different type of writing. For structuring such a large document and creating linkages the entire way through, I think Scrivener really supported the writing. It strikes me as a program that offers some people more than it does for others. I found plenty of great uses for it and my writing thrived thanks to the structure. Maybe it helps people more if they need structure to their writing like I needed. Its usefulness probably only goes as far as one’s imagination. Thanks for your thoughts Dominic. I have to confess I’ve given up with Scrivener for the moment. As I said in my latest post, I spent a while last week experimenting with it but got nowhere. It just seems incredibly complicated. I feel I really need someone to sit down with me and show me the ropes. But until I have that person… well let’s just say I’m setting it aside for now. I’m glad you found it beneficial.